In this episode we welcome back Peter Bregman to discuss his new book Four Seconds: All the Time You Need to Stop Counter-Productive Habits and Get the Results You Want. Peter is one of my favorite voices in leadership and productivity. I look forward to your feedback after listening to this episode. 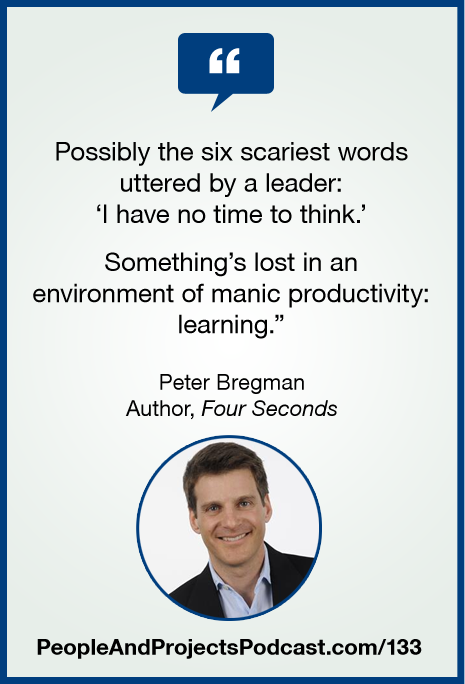 To learn more about Peter and the book, visit his website at http://peterbregman.com/four-seconds/.